Hello. Thank you for stopping by :) Today I am showing you the cover of an album I made. This is the second album I have ever made, so everything is still new to me!! 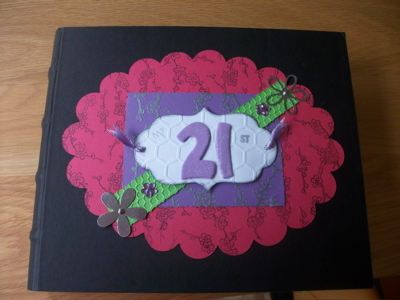 It was for a friend for her 21st. I used an 8 x 8 black Bamboo Cover-it-all. I die cut a large pink scalloped oval. Using a beautiful Japanese influenced rubber stamp, I stamped it in black. I had to keep repeating the image as the stamp was not large enough for the oval. 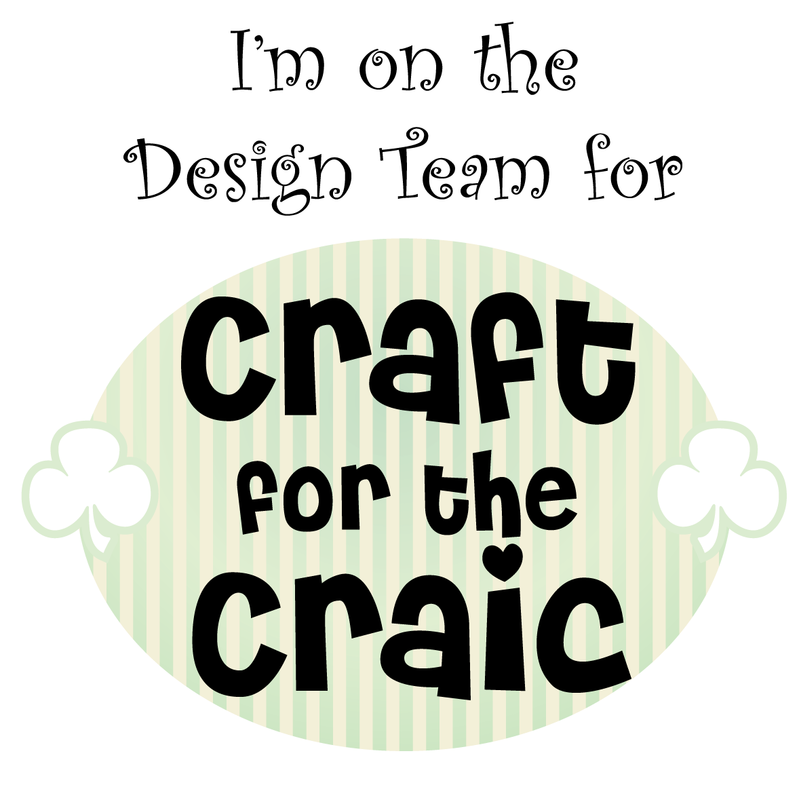 I also had to finish off some of the design by hand, as I didn't always stamp it evenly! Oops! To tie in with the stamped flower image, I used an outline sticker of the same image for the next layer. 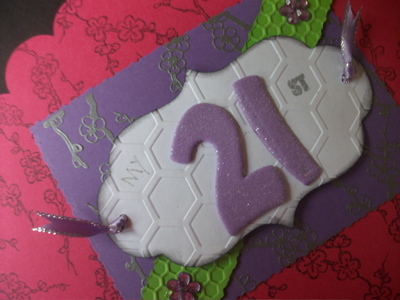 This was placed onto the purple card. It is a beautiful, beautiful image of the flowers, but a total pain to take out all the negative part of the stickers! It ended up being very delicate, and despite taking nearly 40 minutes of picking out the negative of the stickers, I think it is truly worth it! 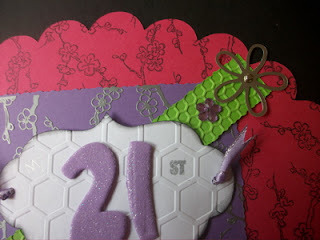 I cut a strip of lime green card and embossed it with the smaller honeycomb folder from Cuttlebug. Arranging it at a diagonal, I always feel gives it a bit of character! I stuck some flower embellishments on, and used some brads for the metal flowers. 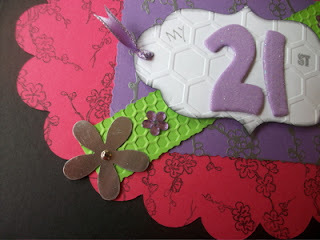 I used a Tim Holtz die, styled labels to cut out the centre white piece, and embossed it with the honeycomb embossing folder from Cuttlebug. 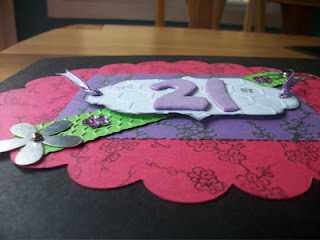 I then punched two holes on each side, laced some ribbon through, and inked the edges. I stamped on "st" in silver, and wrote "my". I die cut the numbers 21 from glittery purple foam and stuck them on. I used foam pads for the whole label, to give it a bit of depth. I thoroughly enjoyed making this second album. This is only the cover, but hopefully in the next few days I will get showing the rest of the album. Thanks for looking, and please leave a comment. I would love to hear from you! Have a great day. Such a fabulous album, I love the colours and embossing. Thank you for sharing with us at Lady Anne's Challenges. I hope we see you again soon. Ehhh, actually I won't be 37. I've just been informed ill be 36. Oops. Gorgeous, I love it the backing papers are wonderful. Thank you for joining us at Stamp 'n' Doodle.